More photos of these to come! This is a favorite at summer camp where I teach high school figure drawing and figure sculpture. Middle schoolers love these too! 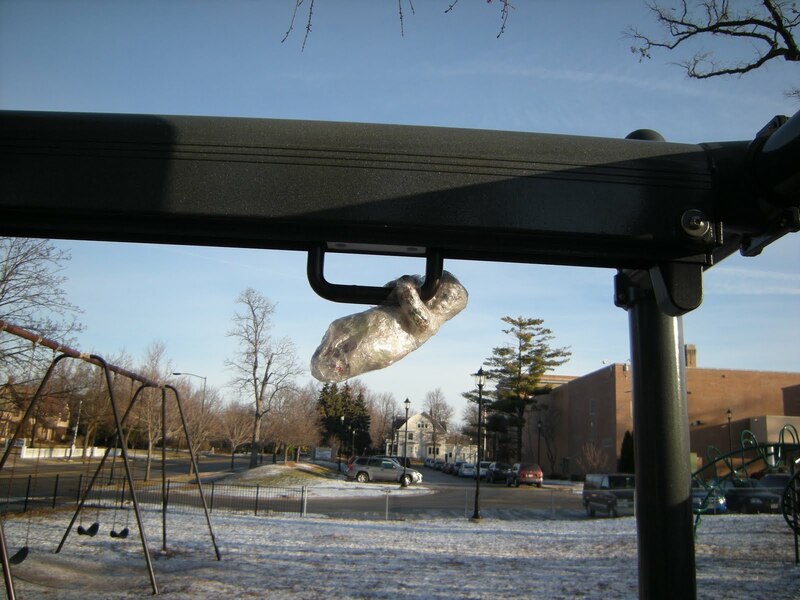 Students are working on placing their work in an environment, and photographing them. 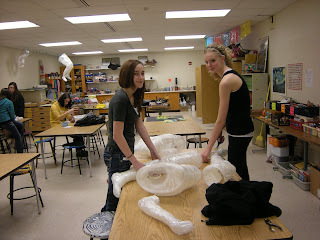 Students cling wrap their model, then use clear packaging tape. The key when working on a real person is to have a ruler next to the body so that you can cut a seam on the ruler. Close call with a fire drill and a girl wrapped up--whew! 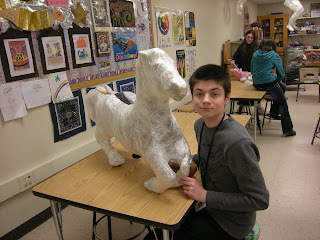 Students can choose to work in a group or individually with another object such as my junk picked horsey! You must use an awful lot of tape for this! It must get expensive!! geçen yıl bizde yaptık çok güzel olmuştu.ama çok band gidiyor maalesef.sizinkilerde çok güzel olmuş. Ooh I'm doing this this year and can't wait! 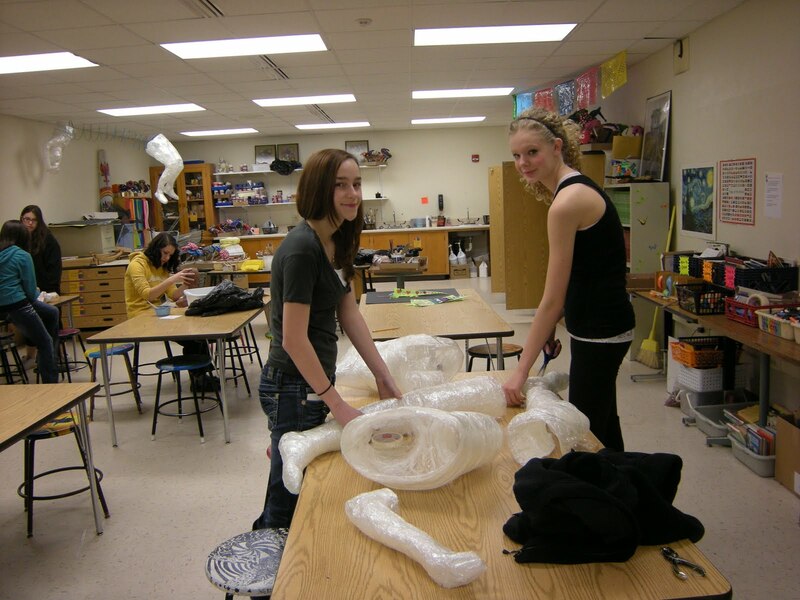 Phyl, I had asked my students to bring in one roll of packaging tape as part of their supply list over the summer (it was the only thing I requested)... but I never thought of using saran wrap first! That should save us a lot of tape, thanks for sharing!